Dipty is the Head of West Coast Division of USISPF and a Co-founder and CEO of FalconX, a leading startup engine and investment vehicle focused on building, growing and scaling technology-driven startups. 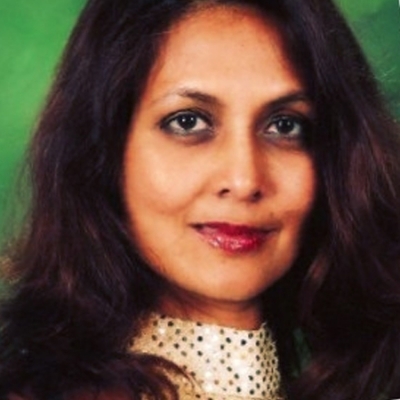 Dipty was previously a Senior Director at TiE Silicon Valley and VP of Business Development at Trishul Ventures. In these roles, she helped create programs focused on inspiring, educating, mentoring, incubating, funding and connecting the entrepreneurs. She also was involved in due diligence, screening and curating entrepreneurial ideas for pitch presentations and venture investments. With strong science and business expertise she has been responsible for industry research, company analysis, business development, and thought leadership, which has helped position Dipty at the forefront of disruptions in the tech industry. Dipty carried out her doctoral work on cancer research at the UCSF Med Center and her post-doctoral research in human genomics at Stanford University. Her scientific expertise and peer-reviewed publications are in the fields of biochemistry, molecular biology, genomics and cancer research. Her passion for innovation and entrepreneurship and solving problems that impact the world has led her to work with entrepreneurs at the cutting edge of science and technology.